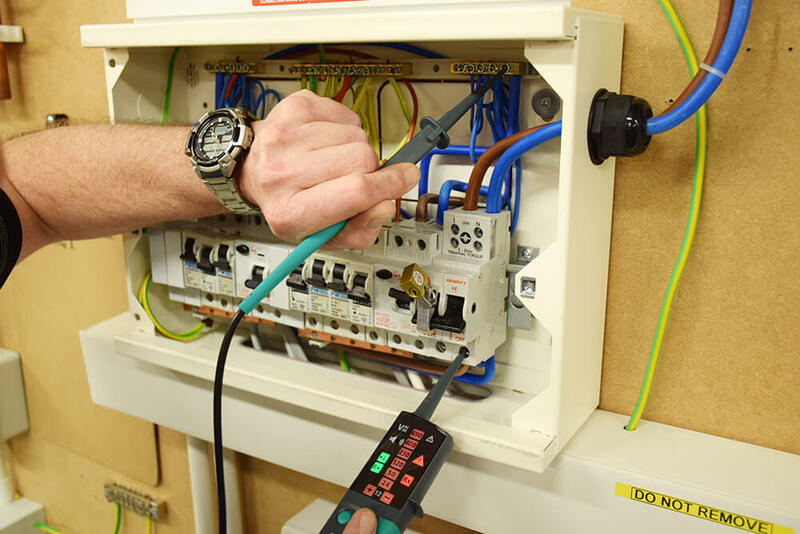 Kit contains three core elements of safe isolation: lock off kit, proving unit and UK specific KT1780 two pole tester. KT1780 can carry out: continuity test, self diagnostic test, phase rotation test, polarity test and single pole phase test. Luminous, oversized LEDs show voltage level. Tests up to 690V and is designed to meet the new international safety standards IEC 61243-3 and IEC 61010-1. 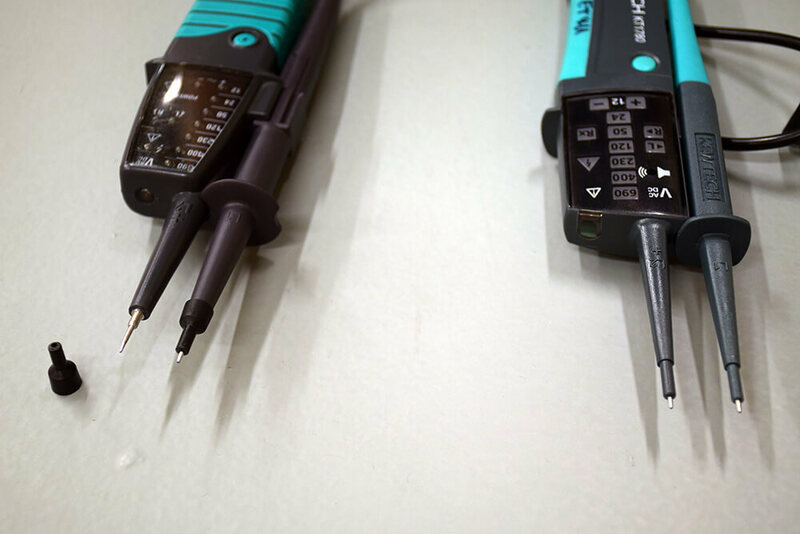 Use the KT1780 in combination with the proving unit to prove accuracy before and after testing. 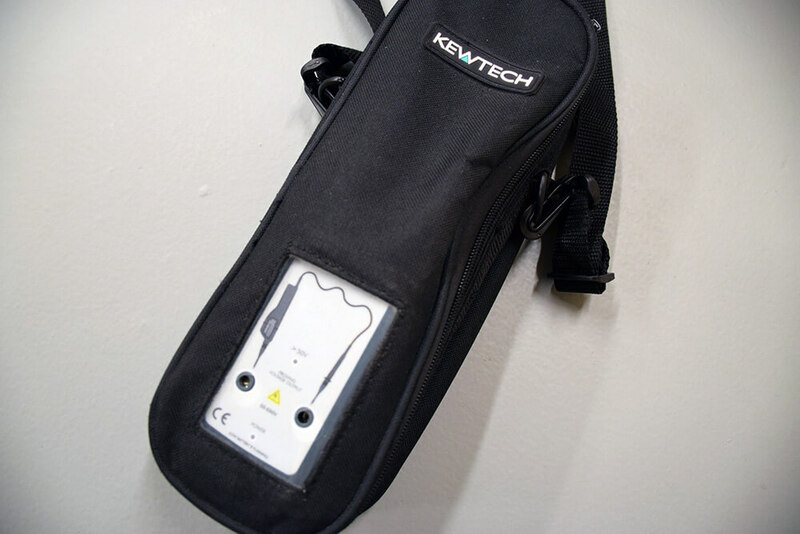 Specialising in innovative and reliable test equipment, Kewtech offer a wide variety of products for the UK market. 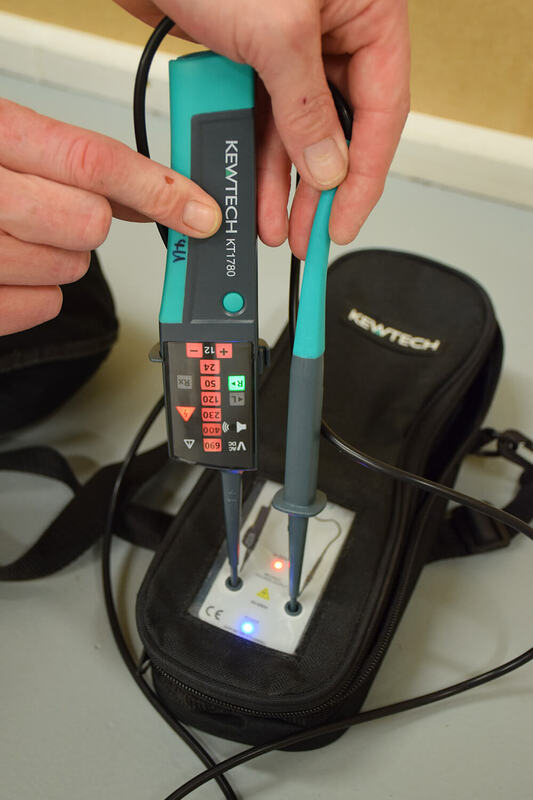 The KEWISO2 kit allows you to test that circuits are dead and safely isolated, and also check your tester’s accuracy, whilst complying to the current regulations surrounding dead testing work. The kit is a fantastic solution to safe isolation, which we have reviewed it for. If you’re interested in learning more about safe isolation, take a look at our video tutorial. 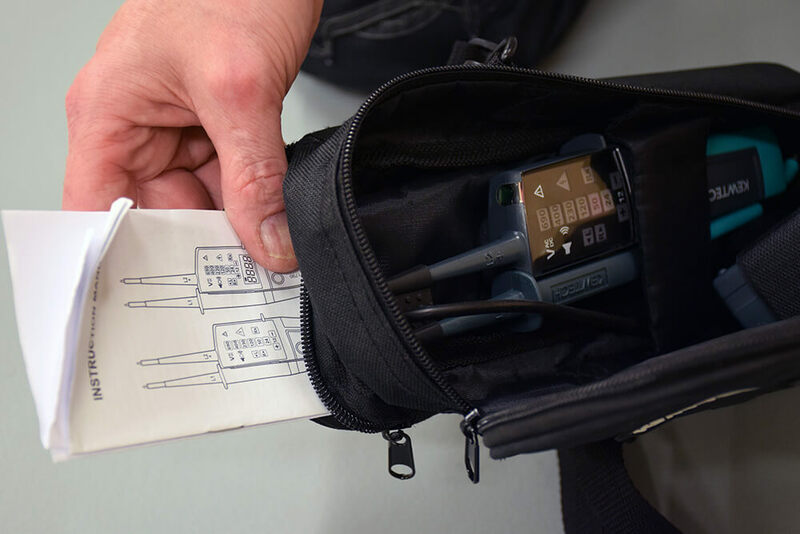 Inside the handy carry bag is the KT1780 two pole tester, a proving unit and a universal lock off with a rewriteable warning tag. providing everything you need! 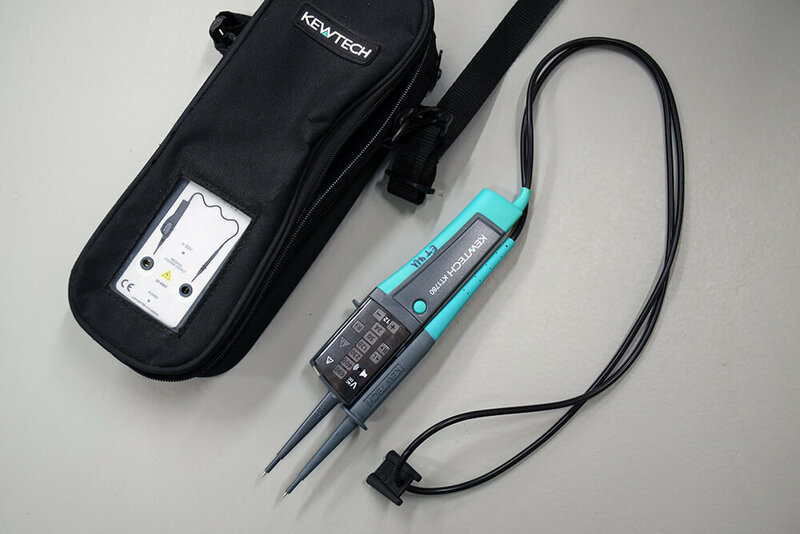 Awarded the Innovative Test and Measurement Product of the Year in 2014, the Safe Isolation kit has been modified and improved over the past few years with the latest model being their best yet. The most noticeable improvement is the change to molded guards on the voltage detector poles. The previous version had removable screw covers, which can prove to be an issue as they can get lost very easily. There is also a modification on the proving unit as now there are lights to show the presence of voltage on proving unit (>50v), where the previous version didn’t, which meant if you had no relevant voltage it could confuse the results. It’s imperative you fully read and understand the instructions. As if you don’t, we have found when you go to neutral on bottom of mains switch to neutral bar (incorrect procedure), it will do a continuity test automatically and self diagnostic test will be initiated and it will show up 690v, when there is no voltage present. This is down to user error and not manufacturer. 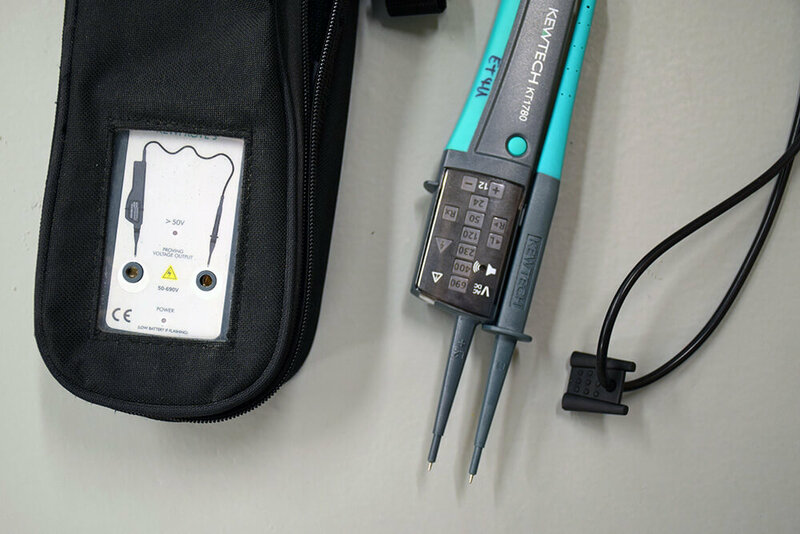 The Kewlok universal lock off kit completes this safe isolation kit perfectly and is quick and simple to use on site, while providing good termination. It fits most MCB’s and also toggle type main switches. The combination padlock provided means there’s no chance of you losing keys and it also comes with two reusable warning tags to be secured on. 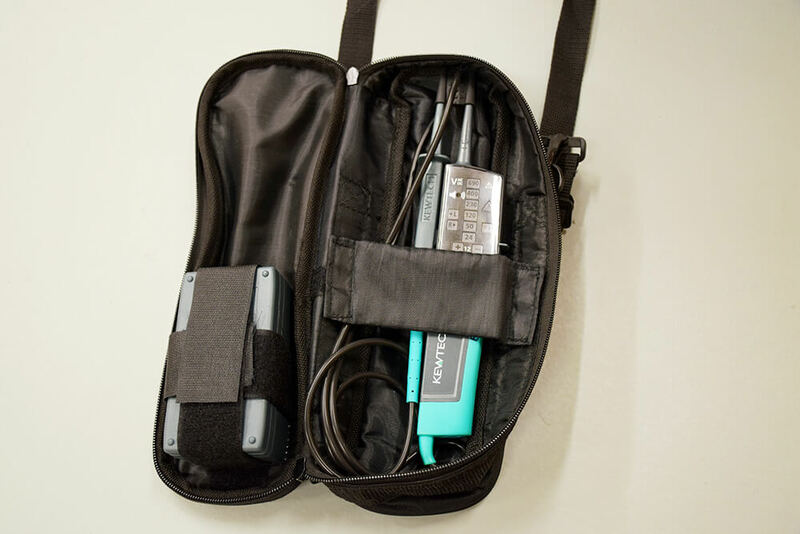 All three items come in a handy carry case, with a back pocket for the instructions and your lock off kit. You will notice that the case has two holes punched in the transparent window of the bag. This both protects the proving unit and allows you carry out tests without hassle. LED check can initially confuse user if haven’t read the instructions. But this is down to user error, not manufacturer, and stresses the importance of reading the instructions before using the KEWISO2. The KEWISO2 safe isolation kit is available to buy from Screwfix and various other online retailers. Want more reviews? Find out what we thought of CK Tools’ ArmourSlice!